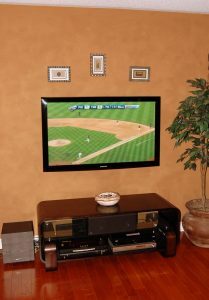 Need a TV Installed? Wondering about Prices? Serving all of Niagara from Niagara On The Lake to Port Colborne including St. Catherines and Welland. Home Theatre Estimates for any where in the Niagara Falls, St. Catherines, Welland and Port Colborne areas can be booked here. Please give us some details and we will get back to you for product requests and Installations. Our Install Team is also available for New Construction, Pre-Wiring Basement Renovations, Sports Bars and other Commercial Work Too! All Calls & Website Inquiries are Answered FAST !! !